The average person in the USA consumes about 3,4g of salt every day. Germany even tops this with an average daily consumption of salt of 10g for males and 8g for females. However one should not eat more than 1,5-2,3g of salt per day. This can be quite a challenge for some nowadays, as salt is in pretty much every food, bread, preserved foods (canned foods, cookies, cakes, chips, dips, dairy as well as non-dairy products,…) , prepared fresh meals (from stores or restaurants) and of course in meat products. Additionally people tend to add even more salt to their foods. Regular table salt, the white salt that you’ll usually find in the salt shaker. It is a refined product that either comes from natural salt or from crude oil flake leftovers and is cooked at very high temperatures where it loses the majority of its important elements (potassium, calcium, manganese, iron, zinc, and more). Those minerals help us to balance our sodium-potassium ratios, give us electrolytes and help us to stay hydrated. The processing also strips it of its natural trace minerals which we need for a proper immune, thyroid and adrenal function. 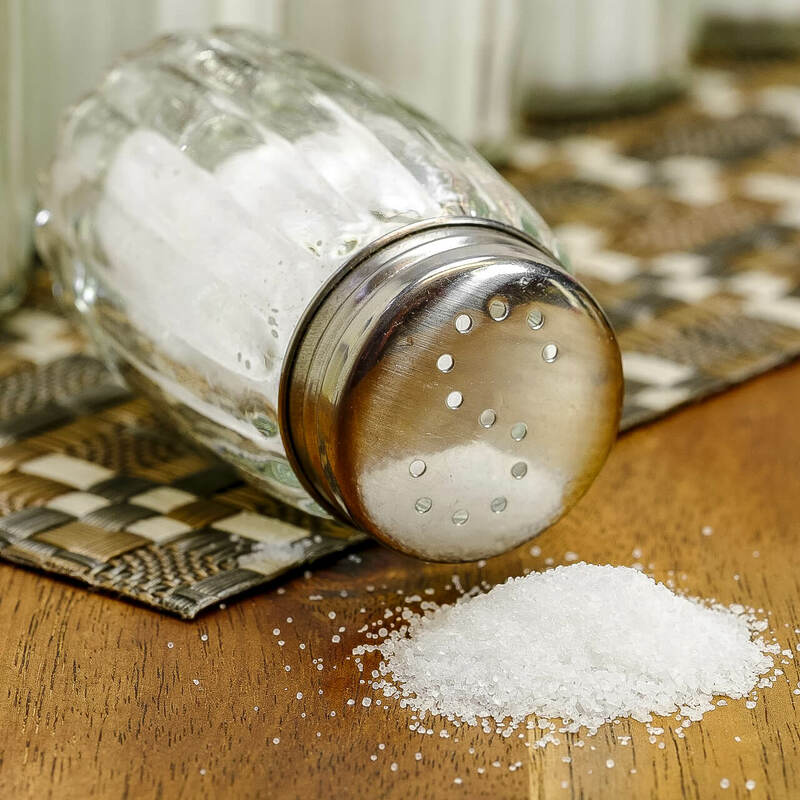 Even worse is that this salt contains additives such as aluminum derivates, white bleach to make it white and shiny and anti-caking agents like silicon-dioxide. Silicon-dioxide has been shown to reduce our metabolism and cell division, as well as it causes cell die-off and lactic acid fermentation. It harms our arteries and thus makes us prone to arteriosclerosis especially if we’re not eating a plant based diet. And due to the lactic acid fermentation it can lead to muscle cramps. Sea Salt, the extracted salt from sea water. 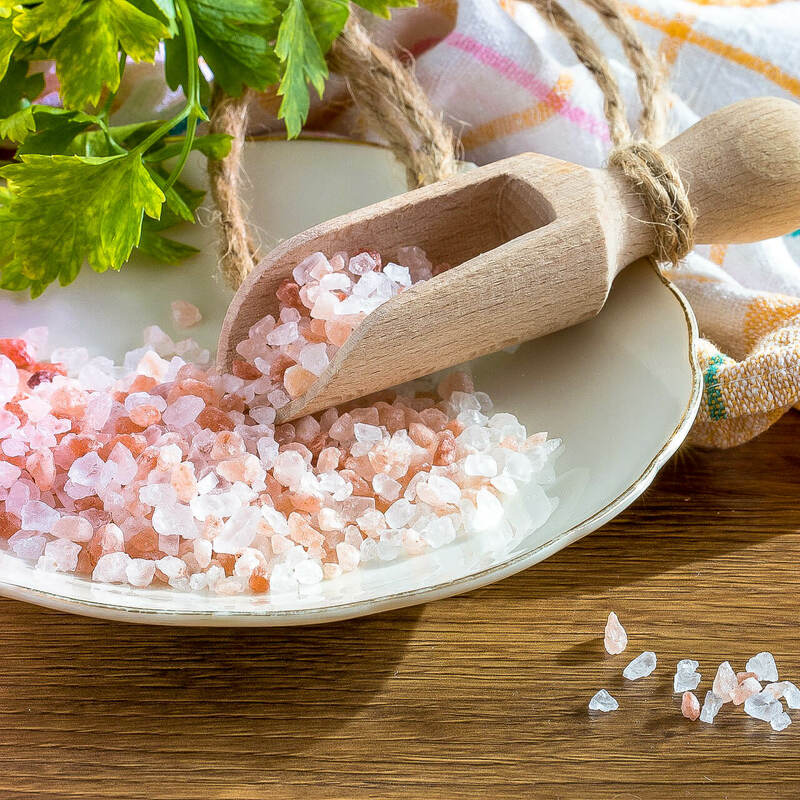 This salt still has its natural occurring minerals and trace minerals. It is best to use unrefined sea salt to maximize its potential health benefits. Himalayan salt, which is a rock salt from the Mountains in Pakistan. This salt looks pink due to mineral impurities. Even though 98% of it are sodium chloride, it still contains a lot of minerals and trace elements, including calcium, magnesium, potassium, copper and iron. 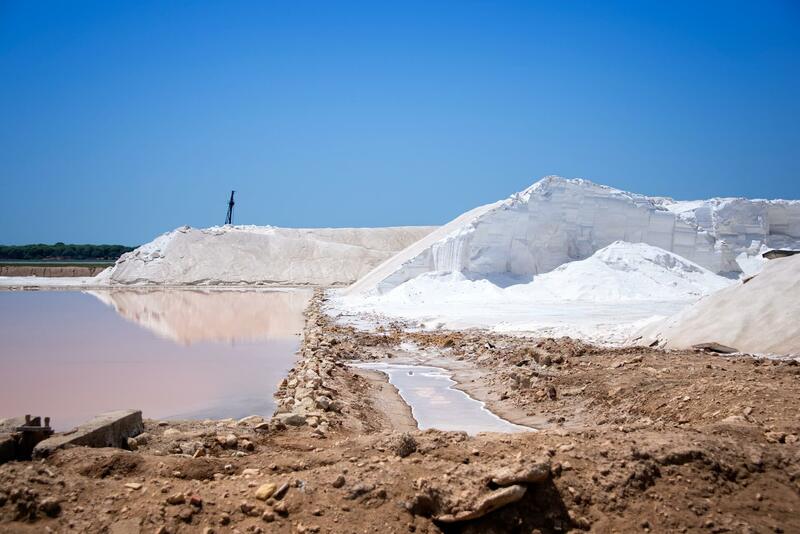 Rock Salt or Halite, which comes from concentrated sea water from centuries ago. It can be found under the earth. So it’s kind of a sea salt too. 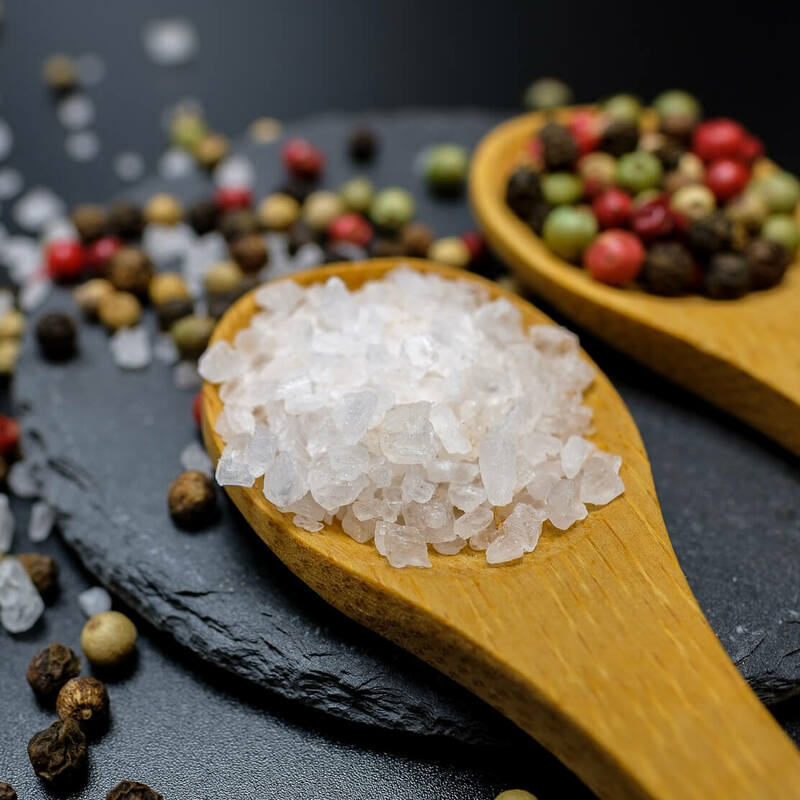 Salt sure is an important element in our body to keep a proper mineral balance, which gives us a good bone density, proper circulation and a stable blood sugar. So not eating salt or sodium rich foods at all would lead to problems too. But we should pay more attention to the amounts we consume and to the quality of salt we consume. The less processed it is, the better it is. Natural alternatives are coconut aminos (especially instead of soy sauce), celery & tomatoes because they contain good quality sodium, or flavoring your food with herbs and spices. I myself don’t use any salt at all, the only way I consume it from time to time is when I eat things like sauerkraut, kimchi, horseradish or mustard. The less salt you use, the less you need and your body will get the time to recover!